Update: Edited to reflect the fact that Hosoda is the first transgender man elected in Japan, but not the first in the world. There has never been an out transgender man elected to public office in Japan — until now. 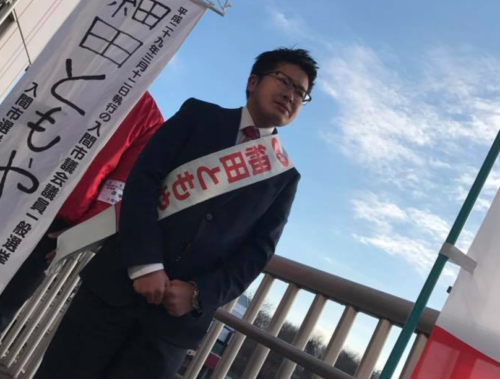 Tomoya Hosoda, 25, was recently elected to the council in Iruma, Japan, a city of about 150,000 people. 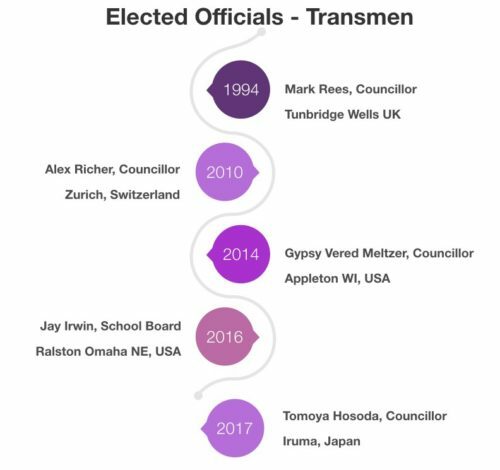 While some sources are reporting that he’s the first openly transgender man elected anywhere in the world, at least four transgender men have been elected to public office globally. Courtesy of Andrew Reynolds, director of the UNC LGBTQ Representation and Rights Research Initiative. “Until recently, people have acted as if sexual minorities do not exist. We have many hurdles to overcome, but I hope to live up to everyone’s expectations,” he told Stonewall, a Japanese LGBTQ rights organization. Hosoda said he wants to help create a system in which diversity is celebrated and minorities — including LGBTQ people, the disabled, and the elderly — are protected. Before being elected to office, Hosoda raised awareness about LGBTQ issues and sexual health, and modeled for the Out in Japan photo project. In a profile for that project, he laid out his hopes for the future. Hosoda is not the first transgender politician to be elected in Japan. Transgender woman Kamikawa Aya, elected as a Tokyo municipal official in 2003, has that honor.